Note: This video accompanies the book Leaders of Their Own Learning: Transforming Schools through Student-Engaged Assessment by Ron Berger. Their team had done a fair amount of work on goal setting and on setting learning targets but came to recognize that goal-setting per se was not enough, especially if it was driven externally. Much is still in the beginning stages as we work towards creating a culture in the school and building capacity in the students. All the stuff I’ve come across (local and international) has the formative assessment piece (see Dylan’s book above) as the foundation. With that foundation one can shift the focus onto student ownership/SRL/SEL etc. 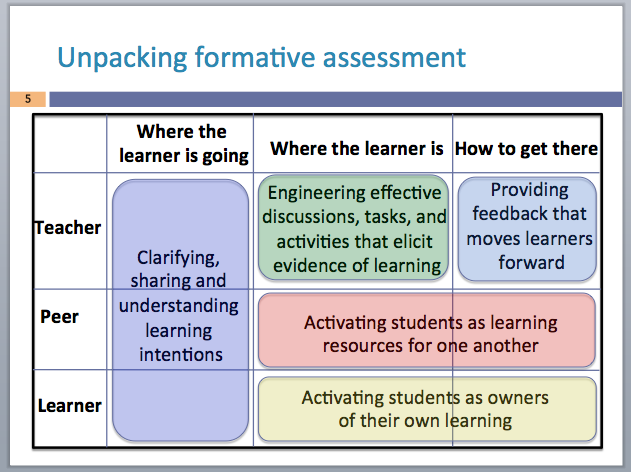 IMHO your team needs to see the formative assessment learning and practice as an ongoing piece that is continually refined —> the SRL is one way in which the formative assessment practices are refined. 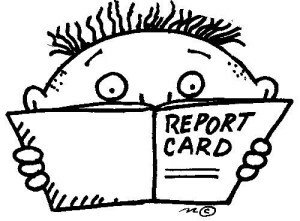 Here is a copy of the letter that students from our pod wrote to explain the reports to their parents and to be included as an insert with their report card. We started the ball rolling in advisory, then handed the task off to a group of students who were finished their preparations for presentations taking place tomorrow. Minor edits were made to adjust the language around ‘Mastery’ – it was the subject of fierce debate amongst the writing team!